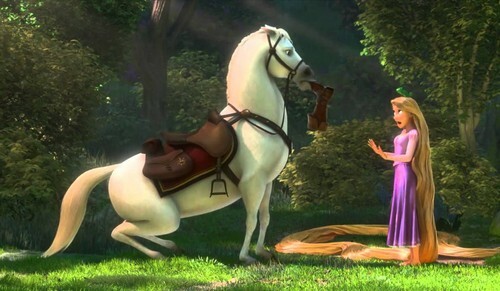 Rapunzel and Maximus. . HD Wallpaper and background images in the Tangled club tagged: photo. This Tangled photo contains lippizan, lipizzan, lippizaner, لاپپیزان, لاپیززان, لاپپیزانر, گھوڑے پگڈنڈی, horse trail, and گھوڑا پگڈنڈی. There might also be گھوڑے wrangler نے, wrangler نے, گھوڑا حجتی, بکھیڑیا, کاٹھی گھوڑے, گھوڑے کی سواری, ماؤنٹ, زین کے گھوڑے, گھوڑے سوار, کوہ, and ڈریسیج.